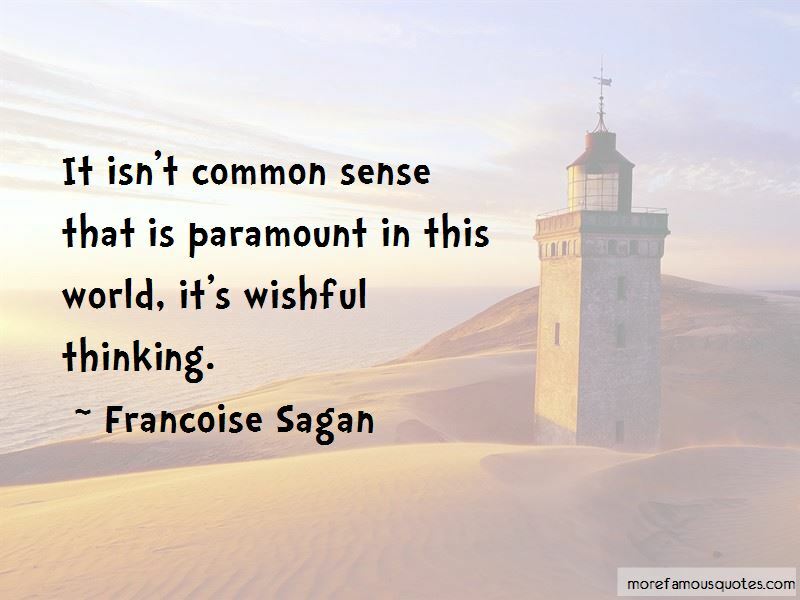 Enjoy the top 56 famous quotes, sayings and quotations by Francoise Sagan. You should celebrate the end of a love affair as they celebrate death in New Orleans, with songs, laughter, dancing and a lot of wine. Of course the illusion of art is to make one believe that great literature is very close to life, but exactly the opposite is true. Life is amorphous, literature is formal. For me writing is a question of finding a certain rhythm. I compare it to the rhythms of jazz. I've tried very hard and I've never found any resemblance between the people I know and the people in my novels. I had a strong desire to write and some free time. Life has confirmed for me the thoughts and impressions I had when I was 18, as if it was all intuition. Passion is the salt of life, and that at the times when we are under its spell this salt is indispensable to us, even if we have got along very well without it before. Love is worth whatever it costs. Art must take reality by surprise. It takes those moments which are for us merely a moment, plus a moment, plus another moment, and arbitrarily transforms them into a special series of moments held together by a major emotion. 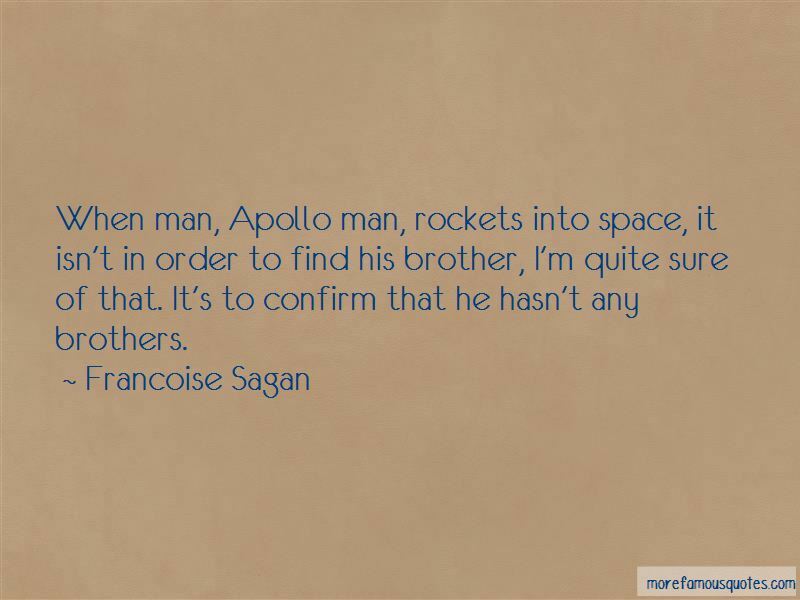 When man, Apollo man, rockets into space, it isn't in order to find his brother, I'm quite sure of that. It's to confirm that he hasn't any brothers. Pity is an agreeable sentiment, uplifting like military music. The rich have a passion for bargains as lively as it is pointless. Illness is the opposite of freedom. It makes everything impossible. 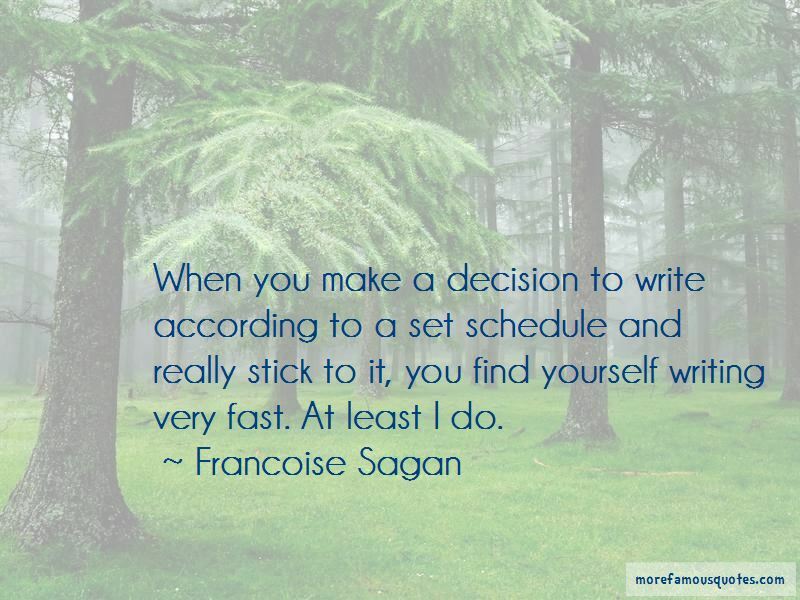 Want to see more pictures of Francoise Sagan quotes? 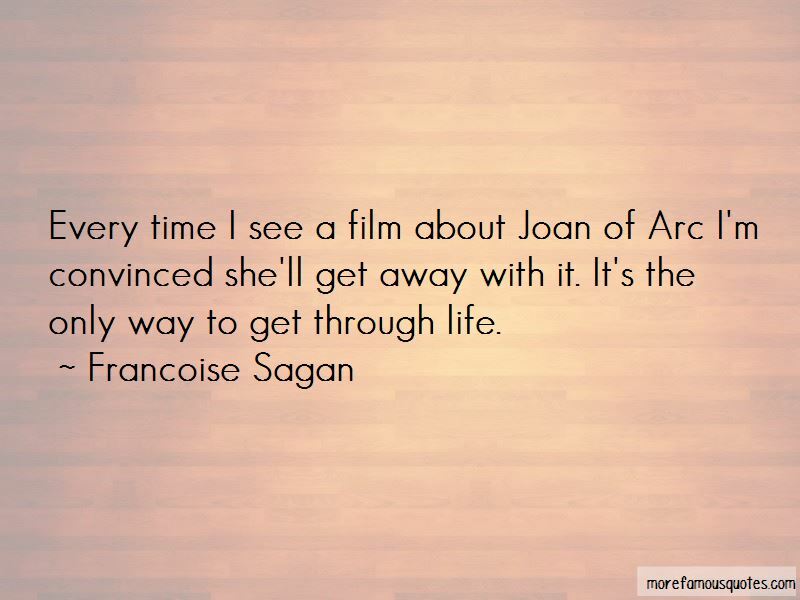 Click on image of Francoise Sagan quotes to view full size.